The Northampton School District maintains a continuum of services for eligible special needs children. Services include modifications and accommodations provided within the general education classroom to support children with special needs in regular education, specialized instruction in special education classrooms, substantially separate special education programs, and related services. Related services include speech/language, occupational, and physical therapy, psychological evaluation, specialized consultation, behavioral supports, and school adjustment counseling. 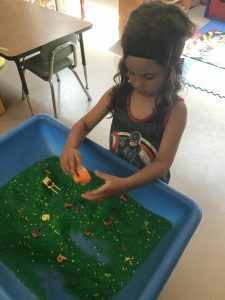 Special education programs within the Northampton Public Schools are designed to ensure that eligible children receive a free and appropriate public education in the least restrictive environment. English Language Learners (ELLs) , also referred to as Limited English Proficient or LEP students, are students whose native language is not English and who are not yet able to do ordinary classroom work in English. Once students are identified as English language learners, they will receive instruction that is designed specifically for learning English and subject matter content in accordance with laws and regulations. The Northampton Public Schools provides academic and language development support to English Language Learners (ELL) students at all levels and in all of our schools (elementary, middle and high school). The English Language Learner (ELL) Program ensures students with limited English proficiency have access to educational opportunities by providing services that assist these students with the attainment of English language proficiency, develop high levels of academic attainment in English, and meet the same challenging State academic content and student achievement standards all students are expected to meet. Services to ELL Program students include instructional services consisting of English as a Second Language (ESL) type instruction and acculturation activities. The ELL Program supports Massachusetts Department of Education’s mission to provide standards-based education through supplementary instructional and acculturation activities. As an English language learner, your child will participate each year in the ACCESS to assess his or her progress in learning English. Parents are informed of the results. Students will also participate in statewide assessments required for all students, including the Massachusetts Comprehensive Assessment System (MCAS), which assesses your child’s progress in academic subjects. Parents will receive reports of their child’s test results in a language they understand.